E&E. 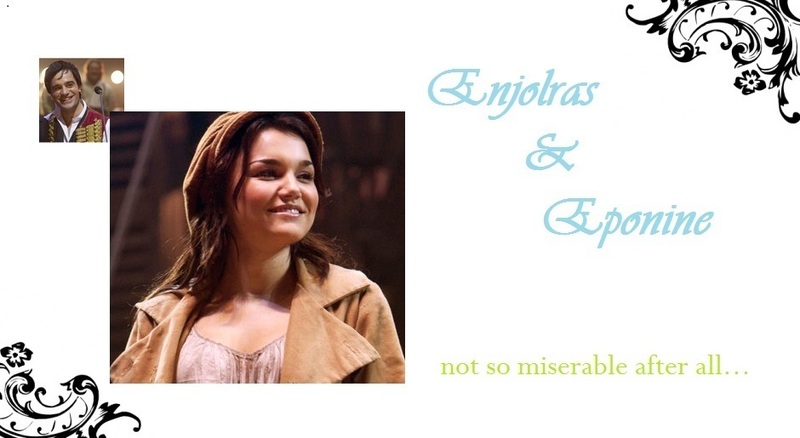 I was horribly bored and found that this seems to be a credible pairing on fanfic and other places and so due to my Liebe for these two actors: Ramin Karimloo and Samantha Barks I created these wallpapers.. HD Wallpaper and background images in the Les Miserables club tagged: les miserables les mis eponine enjolras ramin karimloo samatha barks e&e. This Les Miserables photo contains porträt, kopfbild, nahaufnahme, portrait, headshot, and kopfschuss.